Today's tip: Take advantage of audiobooks!!!! 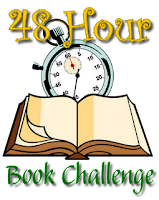 The challenge guidelines allow participants to count one audiobook in the time/books logged for the challenge. Listening to an audiobook is a GREAT way to break up your reading and give your eyes a rest! Cleaning, gardening, doing laundry, cooking dinner, or doing any other chores that normally keep you from reading! Exercising or taking a walk outside to get some fresh air! Driving - either on a road trip or while you're doing errands around town! 1. Keep track of your listening time. Say you listened to The Lions of Little Rock for 2.5 hours. That's 150 minutes. 2. Figure out how many minutes the whole audiobook is. TLOLR is 8 hours and 22 minutes long, or 502 minutes long (8 hours = 480 minutes + 22 minutes = 502 minutes). 4. Find out how many pages the physical book is. You can use GoodReads or Amazon or your local library's catalog for this. According to GoodReads, TLOLR is 298 pages long. 5. Multiply the number of pages by the percentage of the audiobook that you listened to. For TLOLR, we'll multiply 298 x .30 = 89 pages. Where can you find an audiobook to listen to? Check your local library for audiobooks on CD or downloadable audiobooks. Download FREE teen audiobooks every week all summer at SYNC. Check out Audible for a huge selection of audiobooks to purchase. If you're new to Audible, you can download an audiobook free to try it out. So, what are some awesome audiobooks? This is going to be a matter of personal preference, but you can check out Audiobook Jukebox for TONS of audiobook reviews from around the blogsophere, visit my favorite audiobook blog Reading with my Ears, sample the AudioSynced archives, or pick up one of the Odyssey Award winners or honorees. And you can check out some of the audiobooks I've listened to on my GoodReads audio shelf. Hey, I'm an Audible affiliate and if you purchase audiobooks or subscriptions after clicking on the links here, I'll get a commission.